Warren: Warren Black: Hi, everyone. And welcome to our second part of our series on Offshore Structuring, Offshore Banking and basically going international. And, again, I have with me Stephen, and who is with us in the last one, internationalization expert. And, today, we’re going to be focusing on Offshore Structures. And how basically you set yourself up for everything from tax minimization to asset protection to getting best customer focus, expansion, all that kind of stuff. So, welcome,Stephen. Great first to be back together again. Stephen: Yeah, it’s good to be here, Warren. How are you? Warren: Yeah, I’m well. I mean, we do not – you know, we’re spending too much time together, mate. Getting too familiar here. Stephen: I know. People start talking surely. Warren: I know. Scary, eh? So, anyway, Stephen, so when I start off with a simple question. So, obviously we spoke yesterday about offshore banking and things like that. So, really, my first question to you is what’s the real advantage of getting an offshore structure? So, what’s – why would someone just turn up to Hong Kong or Singapore tonight, find and just open a bank account and then fly home again. What’s the real benefit to then actually setting up offshore? Stephen: Okay. So, setting up fully offshore, it also looks at what you want to do, and who you are. But the main thing that I look at within setting up offshore is simply opportunity. You’re gaining so much more opportunity by being structured offshore. And I’m looking at it this way. If you’re an Australian, you’re based in Australia and you’re just concentrating on the Australian marketplace, the Australian market’s 1.82% of world GDP. So that leaves 98% of the world’s GDP out of your bounds that you’re not even looking at; you’re not even considering, if all you’re doing is looking at Australia. Warren: America as well really, isn’t it? Stephen: Same with America. America’s 20% of the world’s GDP, so, they’re living [80%0:02:01] the same set on the head. Europe is 20% of the world’s GDP, so they’re living 80% out. So, by thinking beyond your borders, and then setting up structures in place in places like Hong Kong or Singapore, you can then take advantage of that 100% of global trade. And then give yourself more opportunity to expand your business and have a better business to be able to go and live the life that you want to live, to bank and to enjoy all the freedoms that come with being an internationalized-type person. Warren: That’s good. So, I mean, why would someone in America, say, not just use an American LLC, what’s really the benefit that an offshore structure would give them? I mean, surely an American LLC can go and do business in other countries as well, can’t it? Stephen: Oh, it can do. And just about any structure in the world can do. But it gives you a focus offshore. Plus it also gives you a separation from your government. So, if you’re an American, and you’re looking to set up offshore, setting up, say, even asset protection vehicles in Nevis. So, set up a Nevis LLC that owns corporations there in the U.S.. That goes to split your assets. Jurisdictions, and this is where boundaries come into our favor, that if you’ll set up in Hong Kong, or set up in Nevis or and then you also have corporations in the U.S. The wealth and everything that you build up offshore is very hard for someone then in the U.S. to legally to put a lawsuit over and put a charging order over. So, if you look at Nevis LLCs, they don’t – the Nevis Government doesn’t allow charging orders. So it means that if you own the share in it, the [court 0:03:47] can say, “Their share is now given to someone else.” Those orders do not exist with a Nevis LLC. Neither with using Belize IBCs or some of the other structures around the place where you can divorce your ownership from the actual control of the entity. Warren: Got you. That’s really good. So, I mean, one question I had because obviously it’s asked – it was asked of me last year by the ABC reporter, we’re now getting a statement on the Panama papers and clients ask this, too, and, of course, any [tax levels 0:04:24], isn’t just setting up [nostril 0:04:26] company just to really just cut a tax minimization scheme or tax avoidance or tax [charge 0:04:32], isn’t that really odd at all? Stephen: Not at all. And it’s completely the opposite. Basically setting up offshore is all about, 1, protecting your assets; 2, increasing your opportunities; 3, having an international outlook. The tax to me, when I’m setting up stuff for clients, tax is an added bonus. Just because we can leverage the different tax rates of different jurisdictions, well, that’s an added bonus. I’ve had some clients that we’ve set up they’d been American clients, and we’ve actually set them up in Europe. So there hasn’t been a lot of tax advantages. But they’ve been able to gain access into European market, take advantage of any trade deals and other tax treaties and trade treaties to be able to work their business to the maximum. Warren: That makes sense and [0:05:27]. Because I’ve got clients who set up U.S. LLCs all the time and the pure reason they do it is because Amazon, being an Amazon business is far better for them to work with Amazon and I’ve got clients who they will be going to buy property in places like Portugal or Philippines or others and they have to have a company set up in those jurisdictions to do it. Or if you’re investing in certain things in Dubai and other places, you need to have a Dubai company or they won’t even look at you. So, and I know that one of my clients, who’s Australian, have a lot of UK customers and he was finding that too many UK customers were nervous dealing with Australian company, which I found quite funny. So, eventually, he set up a UK company and immediately, his customers felt more comfortable. So, it’s actually I’ll be given four immediate reasons and I even was thinking of another client who wanted to go into an investment offshore that was a great opportunity and they wouldn’t talk to him in Australia because of ASIC rules. So, he end up setting up a company over in Singapore so he could go in. Stephen: And that works all the time. There are so many investment opportunities out there like there are some agricultural stuff in Central America where they won’t even look at you unless you have an offshore company, unless you’re set up in the [0:06:39] or the Cayman Islands or anywhere like that because they do not want to get tangled up with the rules of America or the U.S. or from the U.S. or Australia or the UK around funds. So they don’t want to be seen as running and collecting funds. They want people to be seen as structured as institutional investors or sophisticated investors. Warren: Yeah, so, really, tax because I want it clear. I was even thinking that with tax that I know I’ve got clients who we’ve been talking about offshore and have even said to me, we don’t – I mean, the tax is important obviously, but I said, “There’s no way we want to risk the security to our money or anything else.” And told to me what’s wholly important to them was a good jurisdiction, a good structure that can really have safe money, that’s got good banking, good international exposure and then it [0:07:30] tax obviously a huge bonus as well. Stephen: Yeah. So, I’d like to use the term ‘capital efficiency.’ So, being able to use your capital in a more efficient manner is highly more advantageous to you as an offshore person than it is the government. They’re only going to waste the money. So, if we can set up your structure, say, here in Hong Kong, for your Amazon business with a U.S. LLC looking after the U.S. side of things, a European corporation looking after the European side of things. And then use the capital because Hong Kong is a territorial system so you’re not driving profits here in Hong Kong. We can use that profit to buy more stock, to expand into other markets, to even reduce the prices a little bit to your customers to increase your overall selling. [0:08:26] work the other way. We can also use the capital to reinvest into other businesses and to grow your business in a better way, in a larger way. Warren: Now, that’s really, really good. I mean, would you even agree with me, I mean, how I see things is that it’s never really tax is just one factor. The – ultimately is about return on investment. And, let’s say, for example, with you investing in the country where, you know, you might go to a country where you might get, say, let’s say, 9% return on investment, but you only pay like what, you know, tax is really low the way it works over there. Whereas Australia or U.S., you might get 10%, but after taxes, you only make 7%. So, really, taxes is ultimately is only a factor. It’s about making more money. It’s about growing your business, growing your wealth, and just in the same way. But if I can go offshore, and buy bulk in Amazon or go to a wholesale grocer and buy that one and say, “I pay a lot for this money for the same thing by going to Amazon.” It’s like in the Philippines. I mean, right now, I used to be paying, you know, $25 to $30 an hour, Steve, just for an administration manager in Australia to basic admin and then we went holiday leave with pay and sick pay. And then I would, you know, what their rights and all that. Whereas I have someone in the Philippines who I pay in like, you know, obviously significantly less than that. They’re great workers, they want the job. So I’m getting a better return on investment. And that’s how I see it really. Stephen: You know, we’re the same. We’ve got staff in the Philippines. We’ve got staff in Estonia and other places like that. And you’re paying next to nothing. When I say next to nothing, it’s very hard for there. So, in Estonia, it’s about USD $2,200 a month in, as you said in the Philippines, you know, USD $1,200 to $1,500 a month is quite a sort of average sort of wage there for very highly skilled people. Even the U.S. Like there’s one of the companies that we worked for did high – very high-end welding. It’s a military-grad welding. And now are based in Australia and now making stuff for the military in the U.S. They ended up moving their entire operations to the U.S. All the welders, and I mean, because the welders are $120 to $150 an hour, Australian dollars now. So, that’s about USD $110, USD $115 an hour. The same welders with the same specs, the same training, the same everything were USD $35-$40. So it ran to $60, about half the cost. This company went from being marginally profitable in Australia, and then only marginally being able to continue its contract with the government to being profitable, able to expand its contract with the government, and they could deliver on time. And they moved to the U.S. and the U.S. have high taxes, but it was just purely and simply because of the wages, lands so they could get a bigger factory for cheaper money. And the [0:12:12]-type around military contracts was less. So there is that advantageous, and you don’t have to go to, you know, the small Caribbean Islands to be offshore. Warren: That’s brilliant. Okay. So, now, I’m moving on to somebody actual specific. So, someone comes to you wanting to set up offshore, what would be – where would you be setting them up in? What are the kind of questions you’d be asking them? So I’m like, say, “Hey, I want to go offshore, and set myself up and go globally.” What would you be saying? Stephen: Okay. The first thing that I do is we sit down and we look at – I look at a few things. So we sit down and we go, “Well, what are your goals? What are you trying to achieve? Do you want to grow your business [or exit 0:12:55]? Do you want a lifestyle business? Do you want something you can pass on to your children? What are you trying to achieve with your business? What are you trying to achieve with moving offshore?” And sometimes we get nonbusiness owners. So people that are retired. So they’re looking to resettle and do investments into other parts of the world. So we’re looking at their goals in the initial stages. Then we look at where you want to go, where you’re comfortable going. Some people aren’t comfortable dealing with China or Brazil on that, but they’re very comfortable dealing with Hong Kong and Singapore. And mainly in Europe. That’s why. So then we can structure what we need to do. So, after a look-and-interview process, we’ll build up a picture, a bit of an avatar or what the person’s trying to do. And then we can use that avatar to then launch ahead and work on all the different aspects of what they’re trying to achieve offshore. So, in the case studies, one that I use is I call that the Uruguayan Beef [Barron 0:13:57]. So, this would guide that’s got high-grade beef in Uruguay, which is a nice little place and you wanted to export around the world. And he wanted – mainly his target was high-end hotels. Okay? So, the first on the hotels we looked at were in the U.S., so we established him a holding corporation in Panama to then launch into the U.S. From there, we established a U.S. LLC, which was a marketing company that went and met with distributors. So that distribution company linked up with all the distributors that send/sell high-end beef in the hotels and restaurants, namely, New York and Chicago and Boston and a few other places. So keeping it small. From there, once that was established and going, he ended up with contracts here in Hong Kong and Singapore with high-end hotels, the high-end hotels. So then we moved part of his operation here to Hong Kong, and while having a global spread and a global reach, he’s tripled the size of his business. He’s still living in Uruguay, but he’s now has reps that are based all over the world. So he keeps what he enjoys and that’s being a farmer looking after his cows and getting the best beef. But the marketing side and the distribution side of his business is all grown and it’s all run from a central headquarters in Panama with operations in Hong Kong and the U.S.
And so, he’s been able to grow and do what he wants to do and tax never come into it from him. He was just making sure that we’re getting the right product to the right people and he was cutting out a lot of the middlemen so his profits increased in that. So just one little case study that we’ve been able to put together. Warren: So, now Hong Kong is an area that you really like. Like a lot of the structures I’ve set up and view which we have done with clients and we set up and worked together as a team on stuff, invariably, we end up in Hong Kong. Why Hong Kong? I mean, like what is Hong Kong [0:15:58] so many countries? Stephen: Hong Kong is it’s just got a great rules base. It’s an ex-British colony, so it’s got the British common law. It’s woven throughout. Its charters. It’s a territorial tax system and it works out where profits are made. Not necessarily where money is made, it’s where profits are made. So that leaves it open to a very good interpretation of being a place where you won’t have to pay a lot of tax and you can really use your capital. It’s got good expansions – expands and reach into China and the rest of Asia. It’s a financial center and [0:16:39]. And it’s own in the world. It’s one of probably the best one actual centers. Has great banks and very secure banks. Has good connections in the trade. So, a lot of the people that we’re dealing with at the moment are Amazon sellers. So these are people that are selling on Amazon in the U.S. that are buying in China. So, it’s good to have the headquarters here in Hong Kong when they’d be able to buy in China and then reach and sell into the U.S. The Internet world is growing in such a fast rate that there’s places like the Middle East and Asiaitself, [0:17:18] in China, for instance, and Hong Kong is a great launching pad for all those. So, plus, Hong Kong has some good tax treaties and it has some good trade treaties with other nations around the world. And it’s just seen as a very good Tier 1 white jurisdiction. If you remember how I was talking about yesterday with banking, I work on three levels. Warren: [0:18:11] At any time you would recommend Hong Kong as an example? Stephen: I wouldn’t recommend Hong Kong, say, for an American that only ever wanted to do asset protection for America. It sort of doesn’t work there. And there is vehicles that worked in Hong Kong like the Hong Kong pensions which are a very special class of trust which you had to set up here where it’s a fully trust – it’s that’s a pension. So it’s a fully full-pension product that is managed by an independent trustee. And this works very well for hedge fund managers, people that own a lot of financial assets to actually set up because if the [forces 0:18:59] their ownership from control. And that’s a very strong thing to do, especially when you’re trying to protect assets because you want to make sure who owns them and who controls them are totally separate. Warren: And, right, got it, yeah. And you have some examples of Hong Kong where you wouldn’t use Hong Kong? Warren: Is there any other examples where you would not Hong Kong? Like in Europe or UK or any one of that? Only that option? Stephen: If you’re investing into property and stuff in Europe, I would use like a Malta company or even a UK company to do that. I wouldn’t use Hong Kong for anything like that. I like Hong Kong for a lot of widget businesses and online education, anything that’s highly mobile. That really doesn’t have a presence other than the need to [0:19:57] or trade, trade-like business. So anything out of that, so, anything investment-orientated that is specifically investment-orientated would look at other jurisdictions. Maybe Singapore. Singapore is very good for setting up your own [0:20:13] fund. And then leveraging, so, you’d have a Singapore manager and then you use the Cayman Islands or BVI registered fund. Warren: That’s useful. Let’s do a few more specifics there. So let’s just cover some different classes. The number one class, hedge funds. I mean, what kind of – so you mentioned Singapore, the Cayman’s fund, any others? What are good jurisdictions to someone wanting to run a hedge fund and certainly keeping in mind that, you know, licensing and things like that, and getting some credibility? Stephen: Regulate [0:20:41]. So, basically, there’s only two jurisdictions that I look at for setting up a fund itself. I’ll search you an offshore fund. One of those is the BVI, British Virgin Islands and the other one is the Cayman Islands. The Cayman Islands probably has 80% of all the funds in the world established there. So all the major guys – HSBC, Fidelity, PIMCO, you name it, the [Cyrus 0:21:04] Fund, they all have Cayman Islands registered vehicles. In the Cayman Islands, you can set up a standalone fund and a standalone manager that’s fully registered. And if you meet the criteria in that jurisdiction, you can be a fully licensed promoter of the fund and manager of the fund. But it’s all offshore. So you’re really targeted to people that retail investors that are outside of certain jurisdictions acquired a happily to invest in your fund as long as you’re not promoting it directly in that jurisdiction. So if you wanted to promote it in Australia, you really need to team up with an FSL-licensed provider to be 100% unless it’s sophisticated investors. But you can then set up a Singapore and partner with a Singapore fund manager and have that Singapore fund manager tuck you underneath and then you can – you’re a higher grade of license and more recognized for managing that fund. Now, the other thing is you’ve got places like Malta, Liechtenstein, Luxembourg – which are all fund management jurisdictions, Guernsey and Isle of Man as well. If your clients were European-focused mainly high-net worth there the jurisdictions that we’d look at. Especially for [0:22:30] the manager. And maybe even setting up a small fee to fund to a larger global-based fund based over the Cayman Islands. Stephen: Yeah. You’ll set up a fund. The fund structure, so you might end up, you might team up with a group of guys in Australia. They have a local fund and that fund invest into the international fund. So you do the same thing in the U.S. and Europe. You have fee the funds that feed into the major global fund [seat 0:22:56]. Take your retail investors into here. Then that fund has a mandate to invest into the global fund. So that’s one way we look at doing hedge funds. And, private family office funds and all that sort of stuff as well. Warren: That’s really useful. So online business, you mentioned Hong Kong, you’ve mentioned hedge funds. What about just investing in, say, shares generally or doing trading options or forex or something? Stephen: Okay. So you’re trading forex an option. You can use Hong Kong companies but it’s getting harder and harder. Especially when opening the bank accounts and getting corporate accounts. There is other structures that we can use in other entities so we can use probably Malta. So, Maltese companies even use a UK company. And then, have that company as the front with a secondary company somewhere else that is holding the balance of the assets. Where with the investment stuff, a lot of it is passive investments, especially if you’re investing in shares in other companies. So we need to look at vehicles that segregate the ownership from the control. So we need to look at the Hong Kong pension. The offshore trusts where there is an independent trustee. And that’s the key. An independent trustee or an independent custodian so a bank, one of the private banks around the world, these are the sort of structures that you use for your legacy investing, the investing that you want to keep asset protection. Nevis LLCs are good for this type of investment as well. But on the tax side of things, a lot of Australians are going to get caught going forward under the passive rules. So we need to make sure that we are teaming up the investments with the right sort of managers and the right custodians and also making sure that the person that’s doing your business, especially if they’re retired, it may be better for them to move overseas go and take advantage of Portugal or Italy or something like that and save a lot more their money. Stephen: Yeah. So if you’re a retiree, you’ve taken the offshore, say, you’re an Australian, you’re living in Thailand, for instance, so you’re under the pension plan over there, which is basically a tax-free retirement. Then, a Singapore company with a lot of cool director using interactive brokers or one of those major brokering houses, that would be a very good thing because then that any income derived through that company that ends up coming to you, because you’re non-Australian resident at that point in time is, basically tax-free. It’s only when you [0:26:53] in the Australian system and you’re resident in Australia that you’re going to pay tax on it. Warren: So, Stephen, give me another case study. Let’s say, you’ve got a UK or U.S. person who’s willing to move offshore. They want to open an account for, let’s say, passive investments only. But don’t want to do Singapore because they don’t want somebody else as director other than themselves. Where would you recommend? Stephen: Say, we’ll take the UK. The UK person wants to have structured investments, we could look at Gibraltar. For instance, open a Gibraltar company. Even an Isle of Man company so the person would at that stage look at, say, living in, say, they wanted to live in Spain, Southern Spain, for instance. Then the problem that you’ve got to make sure that you don’t do with anyone is that you get caught up inside their tax, you know, tax system. Yeah, a lot of the places in Europe is you get caught up in the tax system quite easily because you spend more than six months in any one year there. So, you can use the [0:28:01] to go residency program where you’re going to pay no more than €15,000 in tax in any one year. But if you live somewhere else for more than six months, say, in Portugal or Spain, you’re going to get caught in the Portuguese-Spanish income system. But, if it was all set up into some sort of trust vehicle where the trustee was separate, and it was being managed for your own behalf and you only got a dividend every year, or every month, out of that trust that you live on, but you can still use the trust to do investments, that’s a better structure. But then, you go and spend four months in Portugal, three months in Spain and then go back to the UK to see people for a couple of months, if you wanted to, go to North Africa, come out to Australia, and because you’re retired if you’re on that retired style or you’re young and you’re just a free traveling investor type person, so, there’s a lot of [angel- 0:29:03] type investors out there, you may even look at setting yourself up in somewhere like Monaco, which is totally tax-free. Austria. There are some places in Austria that you can do the same thing as well. Stephen: That person, I would actually look at doing a Malta. Structuring – setting up in Malta, setting up a Malta company, setting up Malta investment accounts and that maybe even in investing through some of the Maltese funds. And then, I possibly look at getting the Maltese residency. But if you’re European citizen anyway, you can go and live anywhere in Europe at any time as long as you don’t expand any more than six months in any of that one-year period. So, you might go to Malta for the summer for two months. You might go to Southern Spain for the English winter. You might then go skiing or something if you want to up in the Alps, up in France or Switzerland. And then you might want to come back to Malta for another two or three months. But, you can then just keep moving around. What you don’t want to do is go and spend 12 months somewhere then you get caught up in that tax jurisdiction. But a Maltese company would be great there. But if you had some side business that you wanted to do, you could look at establishing an Estonian corporation that was owned by a Maltese company. Warren: Okay. So, what would the Estonian company? How would that make things better? Stephen: Well, the Estonian companies, because you can use them for basically anything and they’re great the maximum is 20% tax and it’s done on distribution of profits. So, if you actually had an Estonian company that was doing a travel blog or an investment blog that you had established or it was a little side business that your wife had, well, you could do it there. And then the Malta company could contract services to it, and basically wipe out any of the tax, any of the profits in the Estonian company. So it gives you asset protection, but because you’re never distributing profits, you’re never going to pay tax from the Estonian company. But again, it’s also a European Union recognized country and the banking system’s quite well. But with a European company you could actually open a bank account anywhere in Europe. Warren: That’s good. So if I’m a UK person and I’m living overseas now, yeah, I have a Malta company from my investments keep €15,000, have the Estonian company for my business. I’m [0:32:17] Hong Kong either one that’s perfect. What about something like intellect couple of other scenarios here? The first scenario. What about intellectual property like I’ve got a business, I’m moving offshore I want to separate my IP for my trading operations for obvious asset protection reasons. Where would I set up to hold IP-[base 0:32:37] I’ve heard Seychelles is good. I have heard Netherlands Antilles, what would you say there? Stephen: Yeah, either of those two jurisdictions is good. I also like the British Virgin Islands with a local BVI bank account to hold royalties. The Bahamas, then, and the Caymans are good places to hold sort of royalty-based income because you’re not distributing a lot of profit, well, going to say not distributing a lot of profit, you’re not doing a lot of transactions every year on that IP. So you might only do it once a quarter or you might do it once a half or you might do it once a year. So, having a local account in that jurisdiction suits that purpose fine. So, having the Seychelles with a Singapore bank account works as long as we can get it open and we got the right story. A BVI company with a BVI bank account; Belize company with a Belize bank account. All those sort of work for that sort of stuff. But there’s other structures and depending on how complicated your entire family is, we may be better off looking at a family office type structure where the family office is the owner of that IP. And that might be through a Panamanian foundation, that might be through a Hong Kong pension or it might be through a Cook Islands international trust. And then, that owns everything, but it also then owns all the assets to the hedge fund that you might own. Or you might become a fund of funds and then you invest in other funds from that jurisdiction. Warren: So, then the words that your – I want to add like, let’s say, that I’ve got monies [0:34:20] that I’ve issued for me, I just want it done right. I might have a company to run business in, say, Hong Kong or a Estonia or somewhere. But I might have my IP owned in somewhere like the Caymans or the Virgin Islands or even the Bahamas. And then I have actually owned in the shares rather than my own name buy a Panamanian foundation or a Hong Kong pension fund, something like that. Stephen: Yeah. Something like that or an international trust that said, “I’ve been in Nevis or even or the Cook Islands.” That did – they are highly [0:34:50] or highly valid ways of doing it. Once you start getting into the family office world, that’s where we will start to get into the black world. And that’s where it costs a lot more to run because you do need to use trustees. And you also need to make sure that you’re able to fly to those jurisdictions. So, family office is $5 million sort of assets plus are quite comfortable to set up in that role. But that doesn’t mean that you can’t go offshore today. Anyone owning about $50,000 a year as far as I’m concerned, in their business should be moving ahead or looking offshore, especially if you’re an entrepreneur, you got a trading business and you’re buying and selling product from, not just China, but you might be buying product from Europe and selling it in Australia and buying Australian product and then selling it in the U.S.
Warren: Sorry, go on, Stephen. Stephen: Yeah, you should be looking to structure yourself offshore. And then as things grow, then, we can bring in residency which we’ll talk more about tomorrow. And then we’ll bring in other different structures that can go in wherever we need to. We can build up the whole picture. 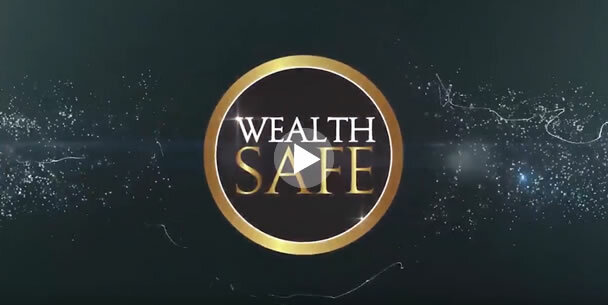 If you’re looking for asset protection from Day 1, because you have a high net worth or you’re in an industry like a doctor or a lawyer and you want to protect your assets, well, that’s a different story. Will mean that we have to sit down and look at things a bit differently. Stephen: Exactly. But there is some ways that we can structure asset holdings, you know, through some of the Caribbean jurisdictions where we can – you wanted to invest in the property in Florida, we can do it, you know, set up a Nevis LLC. That LLC owns a Florida LLC. That Florida LLC then owns the Florida property. These things of doing that that we can start, especially professionals in the U.S. and that sort of stuff, are getting around their professional liability. Warren: You give me a good point. Stephen: I haven’t even touched on setting up your own insurance funds or your – even what I call the bank of you, basically becoming your own bank. These are structures that we could talk about later. Warren: No, we’ll do it in another call. Stephen: We’ll do it in another call. But that are very much save you a lot of money and turn a liability [0:37:34] especially medical insurance into an asset. Warren: You just reminded me, Stephen, like even for Australians one of the things that we’ve done is that they who buy you as property, for example, like the problem with U.S. property is thanks to Obama, the estate taxes are just awful whereas before, he had this $3 million as threshold, whereas Obama’s changed it. So now if you’re an Australian, you buy U.S. property, most Australians, with a stroke of their luck not realizing that if they die, 55% of the money of the property goes to the government estate taxes. And they’re to be sold off. Whereas that could be easier bought it by, say, setting up a Virgin Islands company or Seychelles company or Hong Kong company which actually owns the membership [0:38:20] LLC, I mean, it’s not estate tax as an example. Stephen: Yeah, that’s one way of doing it because you added in the property is owned by the LLC and you only ever transfer the membership for the LLC. You never actually transfer the property. In the way that a lot of ships and aircraft and that sort of stuff are all structured. Overall that way, that the sort of company that you transfer, it’s not the asset itself. And in that way you get around stamp duties and the whole other bits and pieces. The stamp duty on shares is a lot less than stamp duty on, say, a physical property. Warren: Yeah, in fact, remind me another scenario sort of ask you about. So, this is a bit more [0:39:02] one here, Stephen. So, hope you had your coffee this morning. But basically, let’s say, I’m a U.S. person and I’m single, okay. I don’t have family. I don’t have – I’m wealthy. I’m doing okay. So I live in the U.S. to get away from tax system. And I’m now living, say, in Thailand, let’s just say that for an example. Because I’m a 53-year-old U.S. guy works well for me. There’s one catch. Where am I going to structure myself because you know my challenge is that as a U.S. citizen, I basically know the [0:39:32] of the U.S. government for life which means that basically unless I actually remove my citizenship which takes a five-year minimum, but is a huge thing to do, I’m basically supposed to still pay taxes for the rest of my life even if I’m [0:39:45] the U.S., so what would you be telling me? Stephen: Well, especially if you’re single and all that sort of stuff, one of the ways to do is to divest everything into a foundation or a charity. And then have that foundation or charity basically run whatever cause that is. And that can be done through – that could actually be done through the U.S. itself, and set up a 501 [0:40:11] organization that allows you then to take donations from the U.S. and then you just work for that charity. So you put all your assets into that. And your charity could be, you know, it’s saving the whales in the Gulf of Thailand or something like that and you live Thailand to [0:40:31] charity. Warren: What about even a Hong Kong foundation? Or Panama foundation? Could you even do that? Stephen: Oh, Panama foundation. Yeah, anything, especially if you’re single, and you don’t have a future generation to leave anything to, you might want to leave it to a charitable organization or do it to a some sort of a charitable organization that you have done, then, on your death will then distribute that to other charities. So then, there’s no inheritance taxes or anything like that. You only then, and being an American, as long as you earn under USD $102,000 you get the offshore living income. So you can take $102,000 a year tax-free from your charity to be the CEO and general manager of the charity. And then the charity can then do the rest of the investing. Warren: That’s really good. Brilliant. Now, another question. There’s a couple more. One question, Stephen, is you mentioned that yesterday on the banking one about white tier, gray tier, and black tier. So does it apply to offshore structures in the identical way or there are slight differences? How would you – this would refresh everyone about that again, about those three different tiers and how it applies [0:41:52] structures. Stephen: Yeah. So, the white tier, gray tier, and black tier apply to offshore companies as much as it does to offshore banking. Basically, it applies equally the same. So, if you have got a trading company that you’re dealing with people you want to be in the white tier jurisdiction. You want to be able to get your money, you want to be able to do [0:42:13] save, move contracts around where no one’s going to feel uncomfortable, you want to be able to sign contracts in the jurisdiction that has a great legal system and his representative for trade and has great trade connections. Once again, this is why I love Hong Kong because Hong Kong ticks all these boxes. So, there’s Malta. So there’s a whole heap of other jurisdictions around the place that, including the U.S. The U.S. is – and this is where the U.S. actually becomes a great little loophole for people. If you are a non-U.S. citizen, you had a Nevada company or LLC and you do not do business with the U.S., it’s a tax-free enterprise. So you can actually set up a fund, a personal private office fund in Nevada and then have that as your investment vehicle outside. So, you know, I’m an Australian, I set up the structure. I do not do anything with the U.S. people. I make sure whoever’s doing the day-to-day administration knows that this company cannot do any business with U.S. corporations or U.S. banks or U.S. anything. And then it opens accounts in the UK, for instance, to do trading. So that’s another way of getting around that U.S. and using the U.S. as a tax haven or a gray-level [0:43:37]. Gray level countries in we’re moving into the countries where all the institutions play. So, this is where you’d set up your hedge funds, you set up your – you manage investment vehicles. So the Cayman Islands, the BVIs, we’re getting into the Guernseys, the Isle of Mans, Gibraltars. Here in Asia, you’re looking at Dubai. Dubai is still a bit of a gray area for doing business trade. But it’s a white-tiered jurisdiction. If you’re doing business in the Middle East. So, you can trade backwards and forwards. Once you start getting into the black tier, so these are the real [0:44:19] countries so these are the places that the Cook Islands, the Marshall Islands. Samoa, the Seychelles, these are where your IP. This is where you want maximum protection, maximum privacy [that’s afforded 0:44:32], but you’re not necessarily going to be dealing with anyone outside of your own group of companies. Warren: Yeah. No, it’s really, really good. Very, very useful. So, just another question on that. So, I know that one of the things that when you’re dealing with these countries, you got actually before I go on with that one, you reminded me, and sort of quickly mentioned this of a client years ago who we were doing business, and we ended up doing on the Virgin Islands. But they really weren’t comfortable Virgin Islands billing and billing their client. So what we did was we set up a New Zealand nominee company. The New Zealand company actually dealt with clients and in that just basically build most of it. It was the biggest building agent so it’s an agency agreement. It had a small profit New Zealand virtually nothing the bulk of it end up in the Virgin Islands and they weren’t even living in New Zealand so it worked out really well. Stephen: And these are the things that happen on a daily basis. You have a look at Google, Apple, Dropbox, Skype – any of those major corporations – Cisco, you know, when you can go from here to here. All the billing happens through Ireland which is owned then through Netherlands, which then all works its way back to some Caribbean nation with a BVI and that sort of stuff. And that the U.S.-listed companies are basically just investment whole income. They don’t have a lot of great debts to them other than just the investment holding company. Because everything else is held everywhere else around the world. Warren: Yes. Now one big colleague question I’ve got for you. So, one of the biggest challenges Western businesses face, so, let’s just say, I’ll give you a case example. So, let’s say, you’ve got someone like John and, you know, and Peter who live in Australia or even U.S. or UK, any of those three countries. We’ll just say generic example. So with that fit into one country. Let’s say, that they doing business across the world. So, there’s no question, you know. Their business makes very little income from their home country, let’s say, 10%. 90% of it is international business. Now, the one of the challenges that they face in setting up offshore is of course the Australian government, the U.S., the UK now, all under their CSC rules, pretty much say that if the governments or leadership is happening from like Australia, from the U.S. and UK, then just regard as a resident company anyway of that one and they tax it as if it wasn’t anyway. And so, you get taxed whether you bring the money back in or not because the common myth is that I’ll provide [0:47:08] offshore I’m okay. Whereas that’s not the case at all. So, how do you overcome that issue from the CSC like do you appoint extra directors to the company? Is it some way we have a management there and the director has a minimum involvement or a limited involvement? What’s your comments on that one? That’s a big question. Stephen: Yeah, so the day-to-day operations of the company has to be deemed to be offshore, has to be deemed to be in the jurisdiction or a jurisdiction that is not the jurisdiction. So, being a director of a company doesn’t necessarily mean that you run the company. So there might be five directors of the company. So, there might be John and Pete and then they end up that they appoint two independent directors. So, all of our only control 25% of the five of the board. That company has a general manager. The general manager does the day-to-day operations of the firm. So that general manager is actually the person doing the day-to-day of it. It doesn’t mean the directors can’t be on committees that give advice and all that sort of stuff. But just means that they can’t be deemed to be doing the day-to-day operations of the business. This is where a lot of the club my clients in that worked towards making them investors in their businesses, then, we’re doing managers of the businesses. And then that allows them to go and open up the businesses and do other things. So, by building up staff in the Philippines, by building up staff in, say, Hong Kong, or building up staff even in the U.S. and the UK. Then, that – but that is doing the day-to-day operations, so, they’re not doing the day-to-day operations. When you’re a one-man band, it does make it difficult. But the sooner you can make your business to the stage it is where it is not above, you know, that is bigger than a one-man band, then the better off you’re going to be. And we can, you know, appoint general managers and getting proper business offices and all that sort of stuff offshore. So, to me it’s critical, but you have the offshore office. You’re generally working on your business [0:49:36] in it. You’ve got the office setup over there. You’ve got their staff. You’ve got the [0:49:41] and even your board meetings and your main meetings are happening offshore. And really, you’re just like living in that country giving some direction, that’s what I concluded. Warren: You could bet really. See my direction even in my own business these days is I don’t really take on many Australian clients anymore. Generally, I’d take on Australian clients, for example, or the U.S. clients or UK who’re going to leave. Like, you know, I’ve got a UK client who I was helping and I just told him straight out. I said, “You’re being unrealistic in your expectations. If you’re willing to leave UK with your family, we can get rid of your tax completely. If you stay there, you’re going to have to either be able to get your business set up offshore and genuinely run offshore or you’re going to be paying taxes. He actually is here [0:50:51] even. Australia is the same and so I turn away so many Australian clients now because I just [0:50:56] it in. Unless you’re willing to turn your business into a non-service as where you’re only doing minimal stuff compared what you used to, a pure product business where it’s genuinely outsourced, run internationally, you’re just a director outside of the business, and to get, you know, because that’s what Uber do. That’s what Apple do. That’s what Google do. Google, they when these guys really do have genuine internationally run some businesses. Stephen: Yeah. And that what it all comes down to. If you want to remain a one-man band, and you just want to run your business, well, run it offshore. Leave. Go and live offshore and run it offshore. If you want to do that in Australia, we’re going to pay some tax and you’re going to get taxed, but you’re going to get the other benefits having an offshore company around asset protection, open opportunities and other – and you’re thinking changes when you’re not just set up in Australia or you’re not just set up in the UK. If you’re set up internationally, your thinking has changed international. So, eventually, your business will grow. And you have to travel. If you have a look at the billionaires of the world, most of them are highly mobile. They’ll have meetings in London. They’ll have meetings in wherever, and they actually don’t meet a lot of their taxation rules of their own countries because they know you’d spend a lot of time there. The ones that do, they just [0:52:10] and pay it. They minimize that because, you know, they’re able to live off their investments. And this is why becoming an investor rather than a manager or director or owner afford you different tax statuses as well, especially in the U.S. Your tax status as an investor is totally different to your tax status if you’re running as a 9-to-5 wage earner. Now, if you have a look at how Romney, you know, with his offshore investing and everything, he pays 15% tax because he only earns in America income up to the 15% level. So all his dividends from investment are taxed at 15%. Because he’s deemed as an investor with a bit of a side gig, you know. And that’s what you need to do. So you need to think in a couple of ways. Divorce control from ownership and divorce investment from managing at all, sorry, investment from operations and running day-to-day. Warren: This is good, I mean, very valuable stuff. We’ll certainly explore these and more in future calls. Last question, Stephen, before we conclude. What do you see in the future in terms of offshore structuring, where it’s all going? I know we covered this at banking. Would you say the same kind of things apply? Stephen: I will tell you it’s exactly the same as the banking rules. More and more people are going to realize that there’s better over the horizon. There’s better stuff out there. There’s more opportunities. We’re becoming an ever-mobile world. We’re becoming a very much start-up culture. And people are wanting to explore freedom businesses and lifestyle businesses. So we’ll be seeing a lot more people bringing share out and move and then become highly mobile and leverage their skills and move their skills around the world. So I think the future for offshore is very bright. If there’s a lot more communities, especially in the ex-pat and the digital nomad world, where people are becoming more and more comfortable with it, and there’s more and more discussion happening daily around it, so, yeah, no, I think it’s brighter now. I think it’s only going to get easier. Governments are going to change eventually. We’re going to see some – with Trump at the moment and with the Brexit and a few other things happening around the world, I think we’re going to see some interesting period and interesting things happen over the next period of five years. But I can’t see it being bad. As long as you’re informed, you’re not sitting there afraid by watching whatever the mainstream media’s telling you. Get out talking to people like us who are got boots on the ground and who are working the system. Warren: Now [0:55:01] coming on the [0:55:02]. I told the other I said that it’s not a question if tax rates will reduce globally it’s win because the sovereign individual by [0:55:12] Davidson that we mentioned yesterday, show that more and more governments are being forced into a value type government. So whereas right up in dictatorship where we’re the bigger league we told you what to do, where people will start becoming more educated and empowered for value. So, Trump’s working up to that. He’s going around making guilds of Ford, General Motors, saying if you bring your plants back, we’ll give you low tax and things like that. That’s what I see happening. I mean America, for the question if the corporate tax will drop, it’s how much? Is it 15% or 20%? UK the question from what I understand, is it going to be 12.5% or 15%? And, [0:55:48], yeah, but even when it starts to say in Australia that Malcolm Turnbull we’d see in the paper, he said if you don’t slash corporate tax rates very quickly, you’ll be the laughing stock of the world. Stephen: We’re already our laughing stock. We’ve got 30% tax rates. The U.S. have got 20%, 25%. The UK has got 20%. Half of Europe at 20%, 22%, 25%. You know, Malta, if you’re a foreign investor in Malta, it’s 5%. It’s just ridiculous. Australia’s at the highest end of the spectrum already. And, Singapore, 16.5%. Hong Kong at 17%. Everything’s changed. Even China is reducing its tax rates. They’re at 30%-33%, they’re talking about going to 20%. So, everyone is talking about tax rate reductions except Australia. Warren: Excellent. Well, thank you, Stephen. I appreciate your time. And I look forward to our next call on offshore residency.